When choosing colors for your entryway, think about how you want to greet your guests–and how you would like to be greeted too. 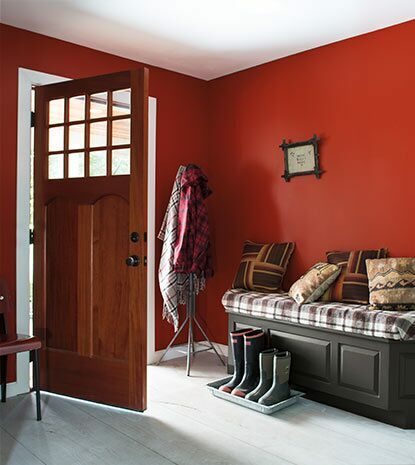 Whether with a warm neutral or a deeper hue, your entryway’s paint color immediately sets a mood. 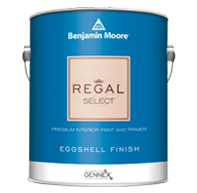 On the practical side, entryways are high traffic areas, so a highly washable and durable product, like Regal® Select Interior, is ideal. The entryway is a transitional space that family and guests spend only a brief amount of time in, so opting for soft, welcoming neutrals is always a popular choice. Lighter color paint on walls keeps the entryway area open and airy. Neutrals also offer seamless color flow into surrounding rooms. You can add liveliness to neutral colors by mixing and matching several choices on wainscoting, trim and walls. If space allows, consider an accent piece like a small table or colorful chairs to layer in details that are both practical and pretty. Using bold colors makes for a strong and memorable first impression that often reflects the personality of those who live there. Darker hues can help add definition to smaller spaces. Make sure you view the entryway from multiple angles to ensure the chosen color will complement connected rooms. Darker colors can also provide a dose of practicality as they hide dirt better than lighter shades, making them great for grand entrances and small mud rooms alike. Along with a stroke of drama, darker hues meet the challenge of messy dogs and running kids head on. The back of your front door is yet another option for deeper color in your entryway. Watch our how-to video for tips on painting an interior door. During the day, light pours into your entryway. Take a cue from the landscape beyond your door, whether it be fresh greenery, desert climes or urban steel when selecting color. Testing paint colors on the wall is essential in your entryway because of dramatically changing lighting conditions that occur here, from natural sun to artificial light. Buy a small pint Benjamin Moore Color Sample, brush it on, and test lighting interaction with the door open, partially open, and fully closed during both day and night. 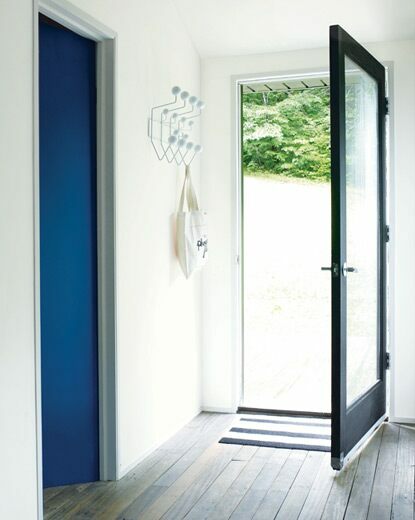 One way to bring extra light into your entryway is to consider higher gloss sheens for an extra brightening effect. Explore 3,500+ colors easily with the Colors by Family tool. Delivers excellent hide and coverage for a perfectly uniform finish, plus stain release technology that's easy to clean with less scrubbing.